But the ESPN broadcaster’s legacy will ripple far beyond the city. 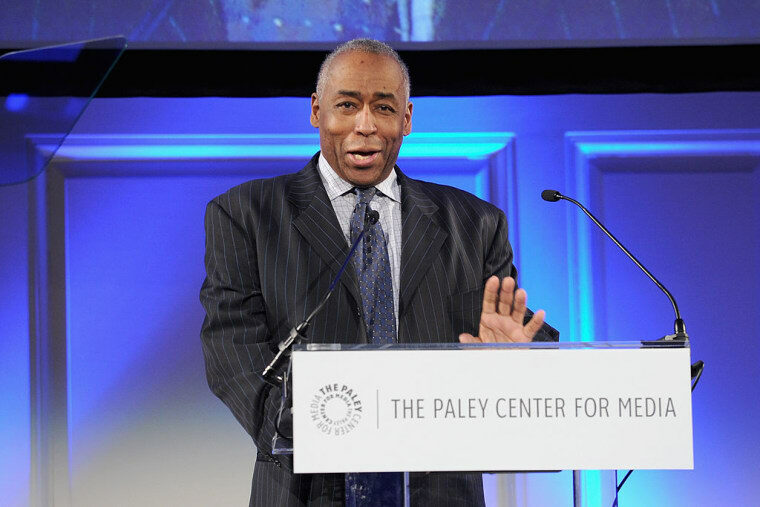 Veteran sports broadcaster John Saunders died yesterday at the age of 61. The news was announced by Saunders’s long-time employer ESPN. To most ESPN viewers, Saunders was best known for play-by-play basketball commentary: his recognizable baritone was a constant in the lives of hoops junkies over the past two decades, whether they were watching the NBA, college, or international basketball. But for Canadians of a certain vintage, Saunders — born in Ajax, Ontario — will forever be remembered as the original voice of the Toronto Raptors. Before Drake and #WeTheNorth, before there was a pre-game show at all, our only star power was John Saunders. He was one of the founding faces of the Raptors brand and, at the time, arguably the second most recognizable individual within the organization behind general manager and NBA legend Isaiah Thomas. As a stalwart on America’s most popular cable sports network, he was a certifiable household name. It was a coup when the Raptors courted Saunders back to Canada in 1995 to do play-by-play for a team that featured players like Žan Tabak, Oliver Miller, and Damon Stoudamire. Saunders, like current Raptors guard Cory Joseph, was homegrown talent, and all the more beloved for it. He was the kid-next-door coming home with an elite pedigree. Holding down the mic for much of the nascent North’s initial five formative seasons, Saunders’s place in Raptors history includes calling the explosive first act of Vincent Lamar Carter’s ascendency. As Vinsanity punted Toronto into the American sporting lexicon one vicious dunk at a time, it was Saunders’s voice that filled our living rooms. In 2016, the Raptors have yet to fully escape the long shadow of the Carter era. At least in terms of public perception. Whether it’s LeBron James dismissing the team’s potential threat, or writers perpetually underestimating them, despite reaching the Eastern Conference Finals and back-to-back 50+ win seasons — and even with one of the most famous rappers in the world a constant courtside presence — the Raptors still seem haunted by a cartoonish past. Perhaps there’s no forgetting when your team is named after a dinosaur. He was living proof of the Canadian dream, particularly for people of color: be great at your job, move to the States to pursue better opportunities, make it big, and cash your American paycheck. John Saunders was inextricably linked to that time and so it feels unfortunate that his relationship with the Raptors ended somewhat acrimoniously in 2001, when he was replaced by Chuck “Salami And Cheese” Swirsky. But although Carter himself has, in recent years, begun to engender forgiveness and nostalgia amongst Raptors fans, Saunders has seemingly slipped off the franchise’s radar. There was nary a mention of him during the team’s 20th anniversary celebrations last season. That someone so synonymous with the franchise’s birth never got to call a Raptors game when the team was actually good seems unfair. And that so many young Raptors fans likely don’t even know who he is seems almost criminal. But perhaps the biggest loss of all is that basketball fans everywhere will never again get a chance to hear Saunders's work. His is a legacy that reaches far beyond the Toronto Raptors. He was living proof of the Canadian dream, particularly for people of color: be great at your job, move to the States to pursue better opportunities, make it big, have everyone back home gloat about how they knew you back in the day, and cash your American paycheck. He will be missed; here in his hometown of Toronto, and beyond.